I believe pregnancy and birth are natural processes and, in the absence of complications, are best kept that way. I want to provide an environment where women and their families are well informed and feel supported in making the decisions that are right for them. I will work to keep your birth environment as calm as possible. I began studying midwifery soon after learning about home birth. Home birth made a lot of sense to me as the best strategy for having a natural childbirth. I completed an introductory midwifery correspondence course and later decided to attend Birthwise Midwifery School. I graduated from Birthwise in 2006 after apprenticing with a home birth midwife / CPM in Tennessee for a year and working at a high volume birth center in Texas for 5 months. 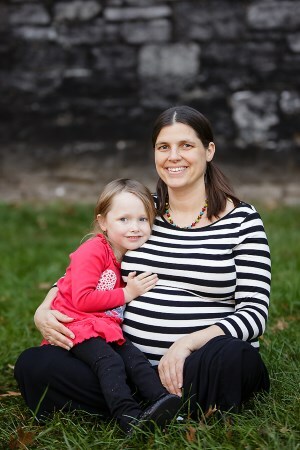 In 2006, I became a Certified Professional Midwife (CPM) and began attending home births. In 2008 I returned to school to become a Certified Nurse Midwife (CNM) so that I could practice legally in my home state of Kentucky. In 2010 I received an Associates of Applied Science from Morehead State University and became an RN. In 2014 I received a Masters of Midwifery from Stonybrook University and became a licensed Advanced Practice Registered Nurse and Certified Nurse Midwife in Kentucky. Along with CPM and APRN-CNM credentials, I maintain current CPR and Neonatal Resuscitation certification. I am a native Lexingtonian and I live in Lexington with my husband, Erik, and my two daughters, Anabelle and River. When I’m not engaged in midwifery, I enjoy playing board games, cuddling cats, watching chickens, knitting, sewing, soap-making and many other crafty activities.